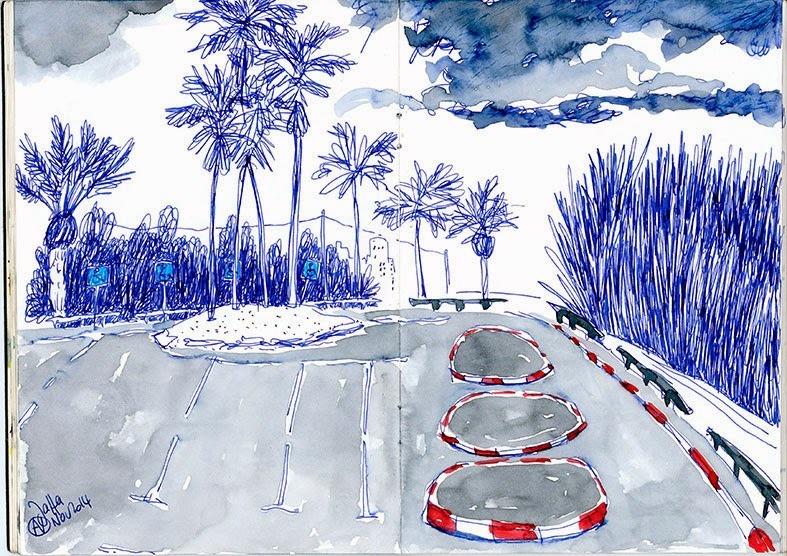 Waiting an hour under a strong rain on a parking lot waiting for your son going out from his capoera lesson doesn't sound very exciting… But when you are set in your car, have your sketchbook with you, watching the sea under a stormy weather, black clouds competing with sun in a rage of wind and rain, graphical lines on the floor, black cat calling you desperately from outside, palm trees dancing in the wind… It may change your perspective ! 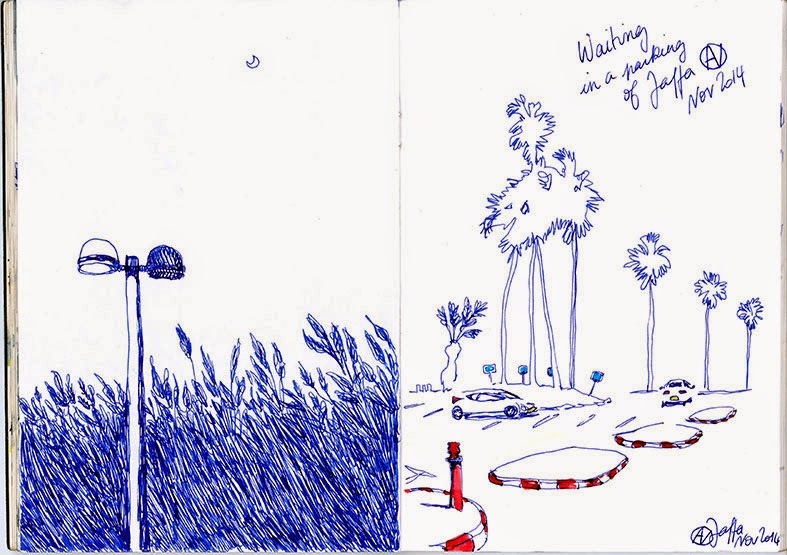 really love these series - simple and "boring" views turned to great artworks, each one telling us a story. 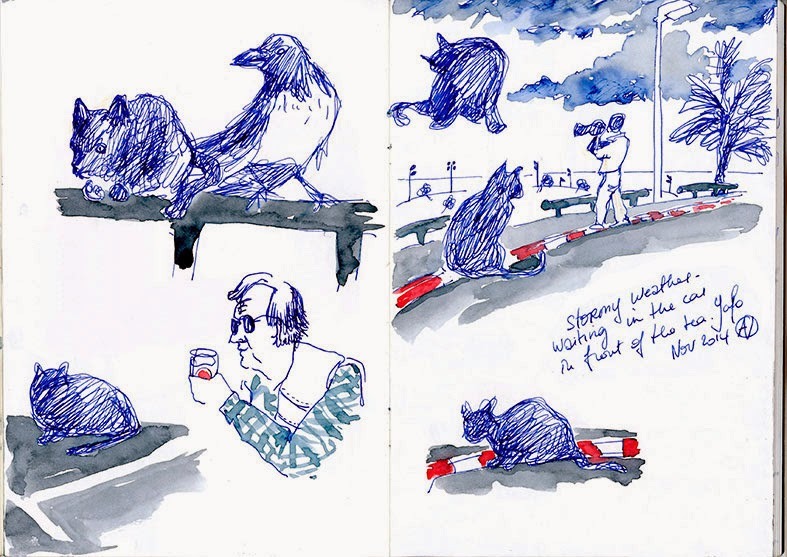 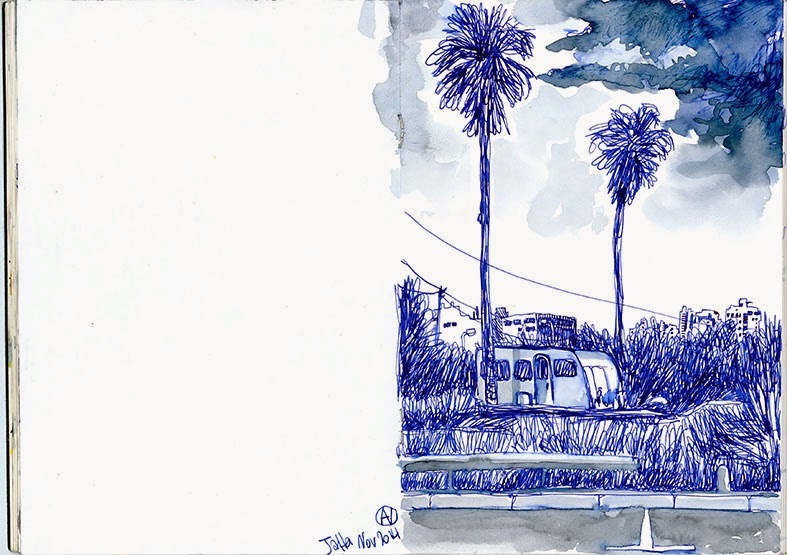 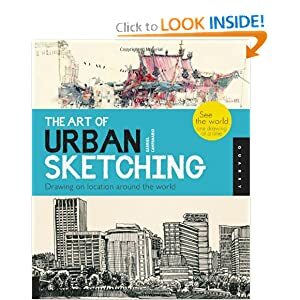 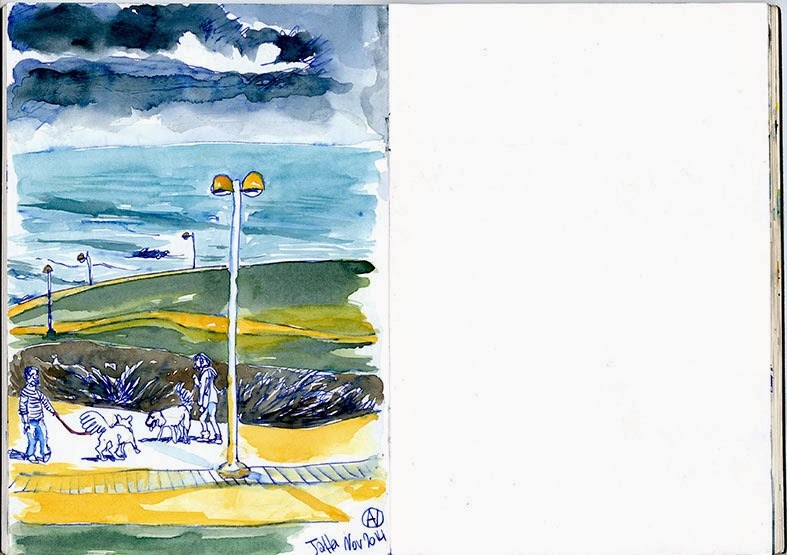 finding a beauty in everyday - the essence of urban sketching for me!